"Evidence indicates that the plane was shot down by a surface-to-air missile from an area controlled by separatists," Obama said, noting that it's not the only time in recent months that the pro-Russia rebels have shot down airplanes. The president referred to the arming of the rebels and the "steady flow of weapons from Russia." He said if Russian President Vladimir Putin makes a decision not to arm the separatists, then the flow will stop. The president's remarks at a news briefing on Friday follow a more detailed laying out of evidence by the U.S. Ambassador Samantha Power before a meeting of the U.N. Security Council. Powers said that pro-Russia separatists in eastern Ukraine had been spotted by a Western journalist manning an SA-11 surface-to-air missile system at a location near where MH17 went down just hours before the plane crashed. 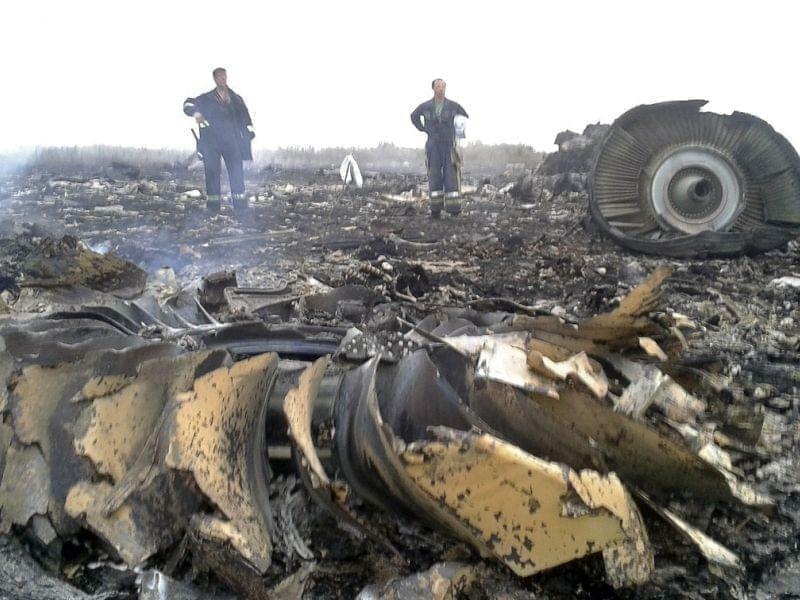 "We assess Malaysian Airlines Flight 17... was likely downed by a surface-to-air [SAM] missile, an SA-11, operated from a separatist-held location in eastern Ukraine," Power said today. "Because of the technical complexity of the SA-11, it is unlikely that the separatists could effectively operate the system without assistance from knowledgeable personnel. Thus we cannot rule out technical assistance from Russian personnel in operating the systems," Power added. That's according to The Guardian which quotes Yatsenyuk saying, "This is a crime against humanity. All red lines have been crossed." Gorter gave new details about those aboard the flight, saying that 189 of the flight's passengers were from the Netherlands; 44 were from Malaysia, and 27 from Australia. People from seven other countries were also on the plane; none of those reported so far are from the U.S. The nationalities of four passengers remain unverified, he said. Parts of the crash site are still smoldering today; photos from the scene show parts of the plane and personal items scattered around open fields. And a video that reportedly shows the aftermath of the crash shows debris falling through a cloud of thick black smoke.